As we had visited Catania, Sicily on our last X-Cruise in July 2015, we had already done the “must do” visit to Taormina, etc. We woke up bright and breezy on the 17th and enjoyed a lovely breakfast on our balcony. 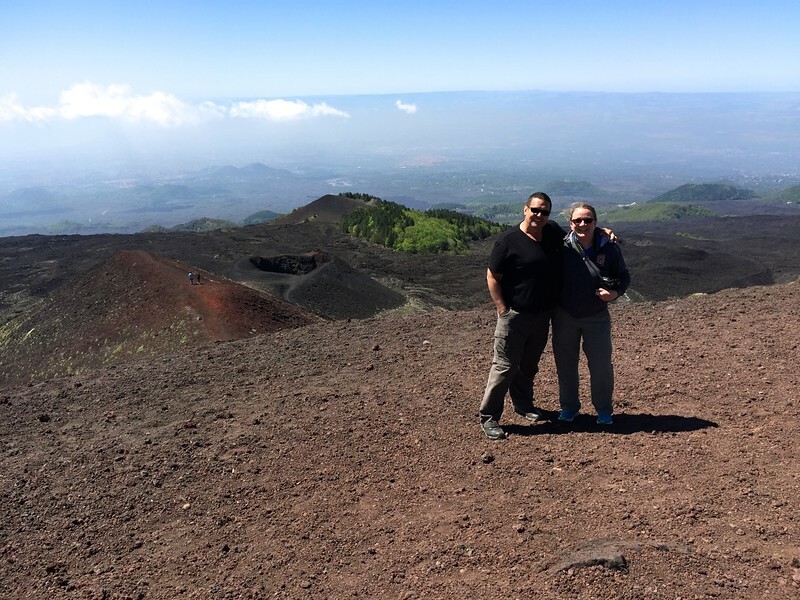 This time we decided to visit Mt Etna and a Winery, organized by the same company as 2015, “Roberto Mirabile. We were picked up promptly from the ship by our driver. We then embarked on a rather long (but scenic) drive to Mt. 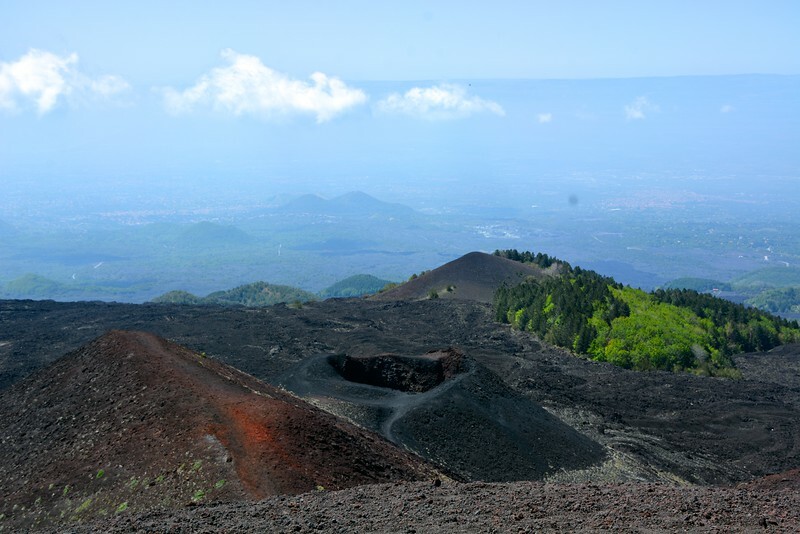 Etna, where we had a moderate snaky drive up to our destination, the Silvestri Crater. We stopped a few times along the way (by our request) for scenic photos. 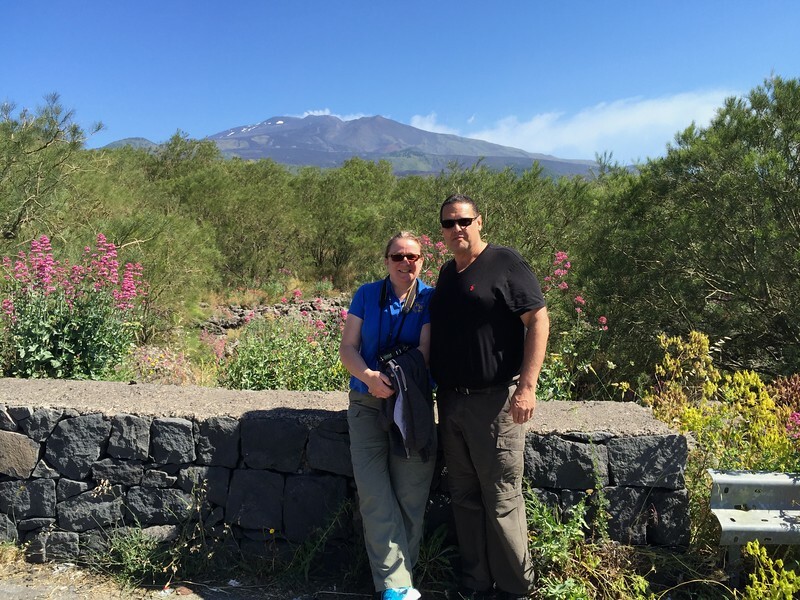 Mount Etna at 3350 meters in height, is the tallest active volcano in Europe and she is still quite active! In fact, that very night as we left Sicily, she had an eruption and made the news! The Silvestri Crater is a very busy spot with loads of tour buses and private vans. We were “on our own” for this part of the tour and our driver said to meet him at a certain time to continue on. Our group more/less split up and walked what we wanted to in this very interesting site. Although a very busy, tourist spot – I highly recommend visiting this extraordinary geographical area which is still active! 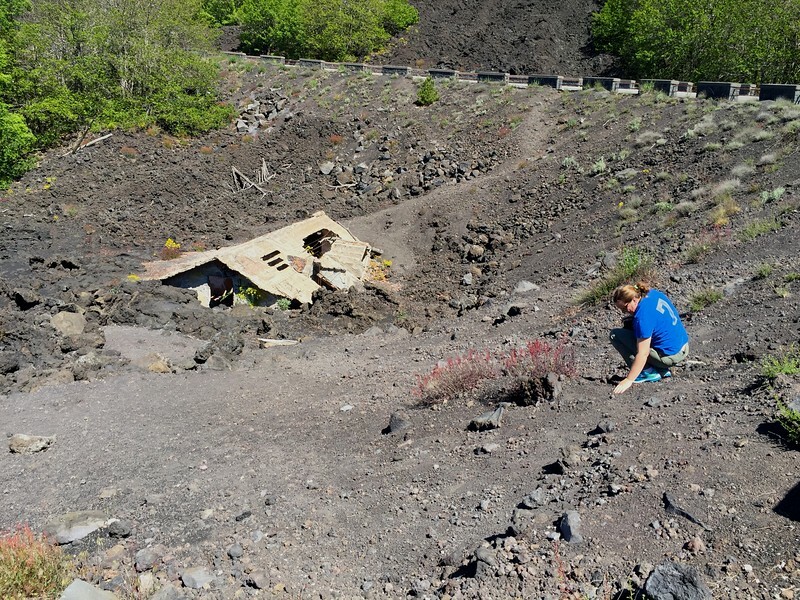 After the visit to Mt Etna, we drove back down the mountain and was en route to the Winery for tasting of Volcanic Vineyard wine. 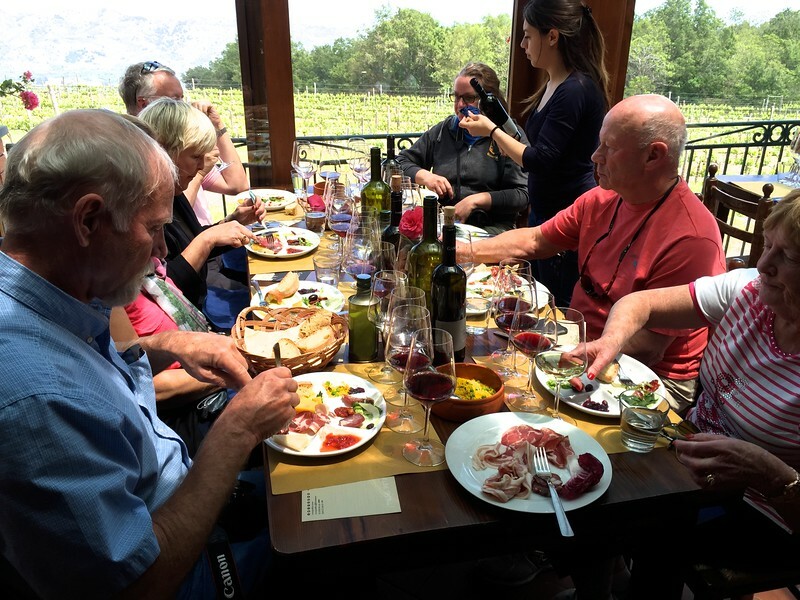 We visited the “Gambino” family estate and were treated to excellent wine tasting and some cheese/vegetables (meats for others) to accompany the wines. Gambino will also ship cases of wine to the United States (which many of our group ordered, it was that good! ); unfortunately, they do not ship to Canada (yet). 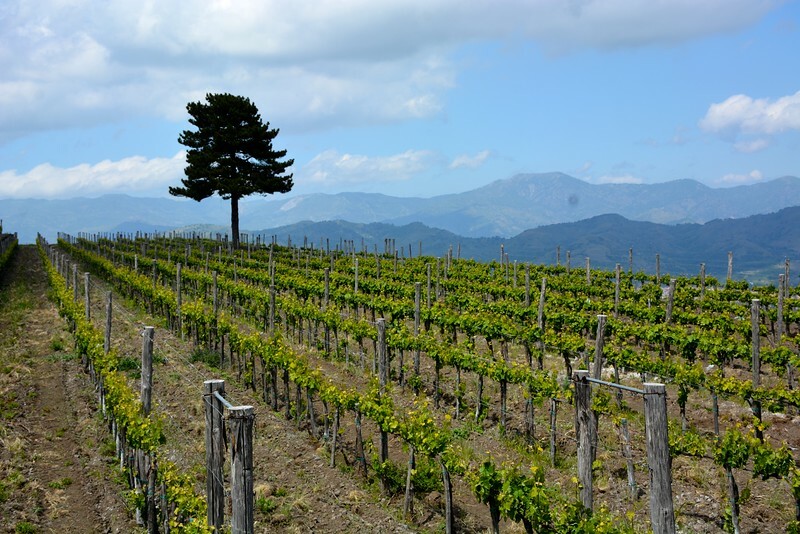 It was a very nice day – from a very scenic volcano to a beautiful vineyard below. 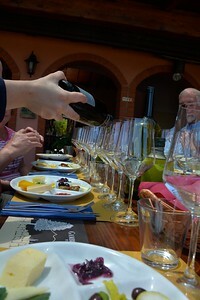 We were glad we did something “different” than our last visit to Sicily.